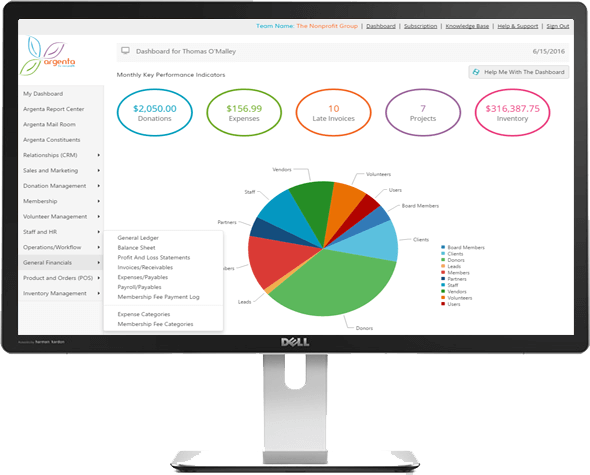 Because we offer a truly integrated, all-in-one, affordable application designed specifically for nonprofit management. Its cloud software so you can access it from anywhere, at any time. The modules in Argenta work together seamlessly to streamline all of your processes. This means being able to organize constituents, track donations, manage projects, plan events, build contracts, enter timesheets, create checklists, and much more, all in one application! All the features you're looking for. All in one place.